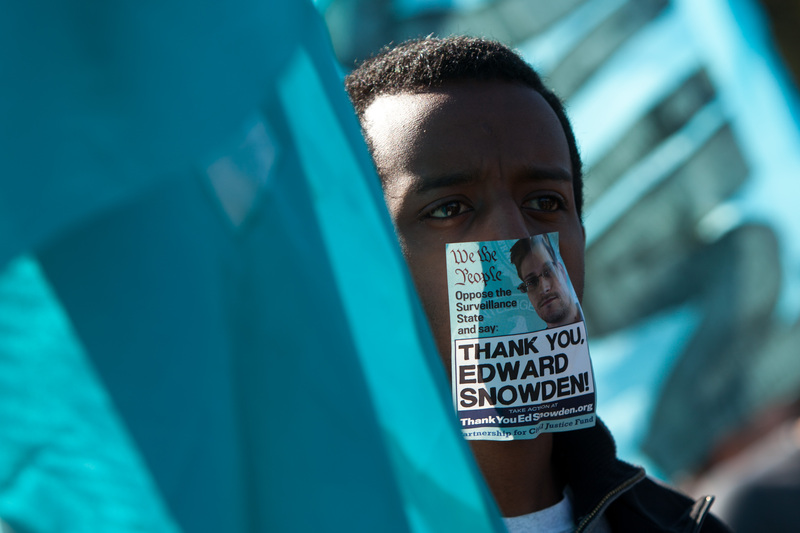 The U.S.' favorite whistleblower Edward Snowden is at it again. In his first interview with German TV Sunday, the secret-leaker accused the National Security Agency of being involved in industrial espionage, saying that the agency would take any intelligence it could get — regardless of its relevance to national security. In the interview with Germany's ARD TV channel, Snowden made waves yet again when he suggested that the agency had spied on big German firms that competed with U.S. companies, giving Siemens as an example. "If there is information at Siemens that they think would be beneficial to the national interests — not the national security — of the United States, they will go after that information and they'll take it," Snowden said. Although Snowden told the TV network that he'd handed all his NSA documents over to journalists, the whistleblower seems intent on stirring that simmering trans-Atlantic pot, hinting Sunday that Merkel probably wasn't the only high-level German official to be spied on. "What I can say is that we know that Angela Merkel was monitored by the NSA," said Snowden. "But the question is how logical is it that she's the only one who was monitored, how likely is it that she was the German person the NSA was watching? "I'd say that it's not very likely that anyone who was watching the German government was only watching Merkel and not her advisers nor other government officials nor ministers, heads of industries or even local government officials."